Later that year Business Insider gleefully outlined the late 2016 forecast of Mizuho analyst Neil Doshi, who imagined that Alexa would be generating $ 11 billion in revenues for Amazon by 2020. Just $ 4 billion of that was expected to come from hardware sales (of 41.3 million annual units of ~$ 100 Amazon Alexa devices) while $ 7 billion would come from Amazon orders. That math assumed that Amazon wouldn’t slash the price of its Echos to $ 30 or less, and that half of the user base would be ordering “$ 25 worth of products 5 times a year on average,” with the implication that these orders would be newly prompted by the presence of Alexa, not just the stuff people were already ordering. Eadicicco certainly wasn’t alone in prematurely characterizing Amazon’s Alexa as the winner that was “already” revolutionizing the technology industry, mostly just because various companies had announced Alexa-compatible devices at trade shows like CES. However, there wasn’t much thought given to whether people were actually going to buy Alexa-powered shower heads or rush to replace their smoke detectors with Alexa-powered units that cost $ 250 each. Instead of thinking up the fearsome doubts that Apple has to disprove, such as “who would pay $ 999 for a phone! ?” or “who will keep paying $ 2 for apps, when there are so many available?” the journalists fawning over the premise of Alexa simply assumed Amazon’s incredible competency at managing global warehouse sweatshops would translate into launching a new hardware interaction model, a vibrant new App Store-killing “skills” market, tons of exciting new advertising, and definitely billions of dollars of new Amazon orders. Additionally, consumers have bristled at the mere thought of Alexa or Assistant injecting advertising messages into their conversations. Both companies have adamantly claimed that they are not even thinking about pushing voice advertising, based on the caustic receptions they get whenever they try to sneak in some advertising. There goes another “$ 19 billion” opportunity that was supposed to keep voice assistants flush with cash. 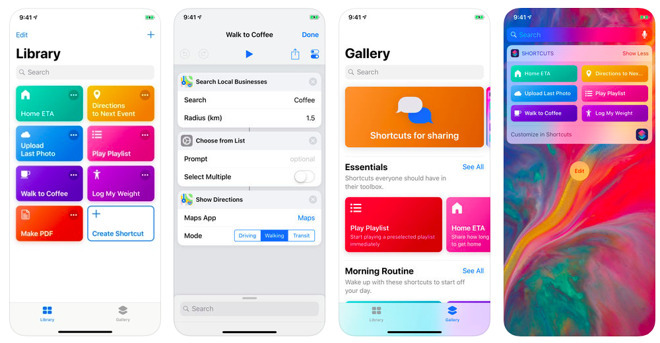 Meanwhile, Apple’s App Store sales, search advertising, and subscriptions grew 19 percent over just the last year, driving its Services business into a $ 10.9 billion per quarter enterprise. Apple has even harnessed the installed base of Amazon Alexa as a new way to promote its own Services revenue via Apple Music. It’s as if Apple wins even when everyone says it’s losing. While the iOS app and subscription content paradigm continues to grow in influence and value, the core of Apple’s business is hardware—to the tune of well over $ 200 billion in revenues every year. Amazon Alexa and Google Home were lavished with oversized attention for years over rather minor sales of their Internet microphone products that weren’t remotely profitable. During that time, Apple’s hardware-based profits—virtually all of which featured Siri—were around $ 50 billion annually. In other words, while Amazon and Google burned through tons of money across four years of just trying to establish an installed base of microphoned users with the hope of someday monetizing them, Apple earned $ 200 billion in hardware profits. Today, many of the same journalists who were excited about the promise of Alexa Voice monetization are now pouting that Apple is also working to sell additional new services to its vast installed base. It’s almost as if they have a horse in the advertising game. Neither Amazon nor Google have even attempted to earn any Apple-like hardware profits from their mostly loss leader Internet microphone offerings that they effectively give away. Rather than being poised to sell another $ 4 billion in hardware next year as Mizuho analysts predicted, Amazon is now facing an increasingly saturated US market and intense competition from Google, which is copying its cheap device strategy. Both also have little hope of entering new markets like China where local companies have already rolled out their own voice alternatives. 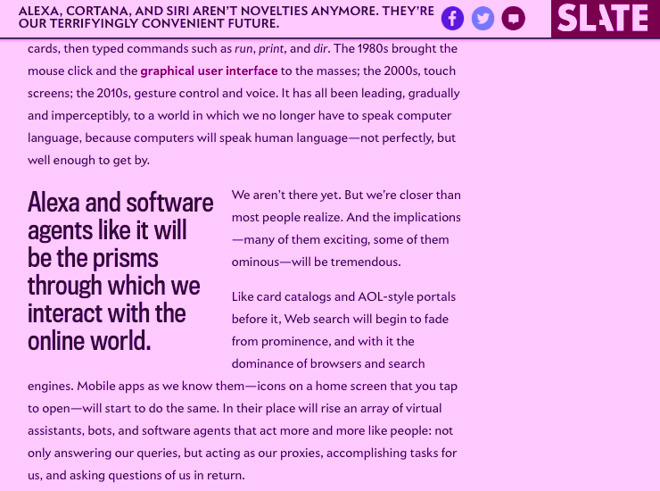 Internet microphones are pretty obviously not the next iPhone. Amazon’s invention of dozens of new Alexa form factors—from stationary tablets to wall clocks to a microwave that orders popcorn for you—have not shifted where money is being made in tech hardware. Instead, Apple has dramatically increased the perceived value of its iOS offerings to the point where mainstream iPhone buyers now spend an average of nearly $ 800 on new iPhones—and rather loyally do so every two or three years. Apple’s growing base of customers have also kept buying tens of millions of premium iPads and Macs, and millions plunked down new money on the hottest product of the year: Siri-capable AirPods. Apple reportedly sold 35 million units of AirPods alone last year, a figure which would generate about $ 5.6 billion of revenue. AirPods also earn money, rather than just being a loss leader racing to deploy “microphone market share” capable of summoning Siri. The company is notoriously slippery with its numbers, but if that actually meant “5,000 employees” it would represent close to half the workforce capacity of the shiny new Apple Park. 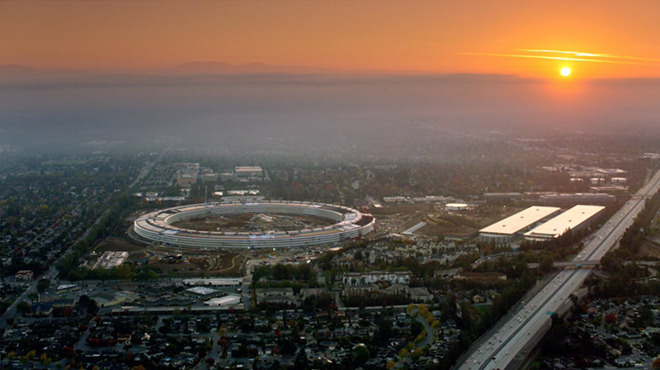 Imagine Apple devoting half of its new campus just to work on Siri features. If shareholders heard that, they’d have good reason to dump Apple’s stock because Siri itself isn’t a revenue generator. Alexa not only doesn’t generate revenue, but it doesn’t even pretend to help Amazon sell $ 200 billion of other hardware each year the way Siri does. The idea that Apple reportedly once had 1,000 people working on some sort of automotive efforts in Project Titan—and laid off 200—was taken as shocking pivot of wasted effort, even in a year where Apple had earned $ 59.5 billion in profit on sales of $ 266 billion in product. Critics similarly fretted that Apple Park’s supposedly $ 5 billion price tag was astronomical, arrogant and a portent of doom. But for Amazon, the idea that 5,000 people were working on a loss leader novelty feature that wasn’t accomplishing anything across years of monumental investment was just plain exciting. Even more so was that fact that Amazon was also trying to hire hundreds more to work on its “Alexa engine” and “Alexa machine learning.” And even more exciting was the fact that Amazon was building its own urban campus in the middle of Seattle for $ 4 billion, featuring giant Spheres full of plants. In 2018, Amazon reported $ 141.92 billion in product sales and earned all of $ 10 billion in profits. Dumping tons of money on Alexa was clearly part of the reason Amazon wasn’t nearly as profitable as Apple, year after year over the last half-decade. But all these years later, Amazon has effectively nothing to show for it. Last year, Apple actually paid out more just in shareholder dividends—about $ 13 billion—than Amazon reported earning. Amazon doesn’t even pay dividends. Clearly, something would have to change for Alexa to be worth shoveling so much money at. Investors clearly must think so because Amazon is valued stratospherically, with a Price to Earnings ratio of 91.7, compared to just 16.7 for Apple. But when will Alexa start generating tens of billions of dollars, and how exactly? The tightly integrated nature of Siri means that even a significantly better voice competitor wouldn’t be enough to gut and replace Apple’s $ 200 billion worth of annual hardware sales. Apple’s users can make use of Alexa, or Assistant or even Cortana without changing their hardware and without removing Siri functionality.